I, NORM ROY, served in Vietnam from September 1969 to September 1970. 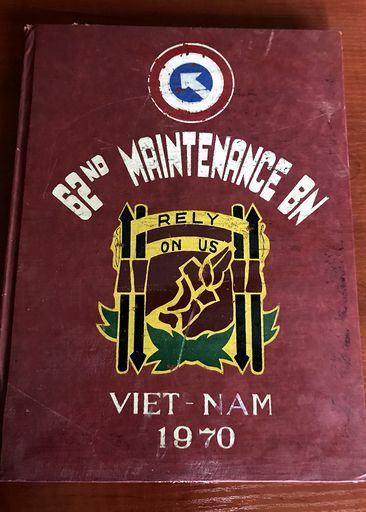 I was attached to the 45th Group, 62nd Maintenance Battalion, at Pleiku, located in the Central Highlands of II Corp, and assigned to the Artillery Repair Section. My MOS at the time was 45L20. Our mission was to perform repairs on towed as well as tracked artillery. I believe our maintenance level was a step or two below depot repair. 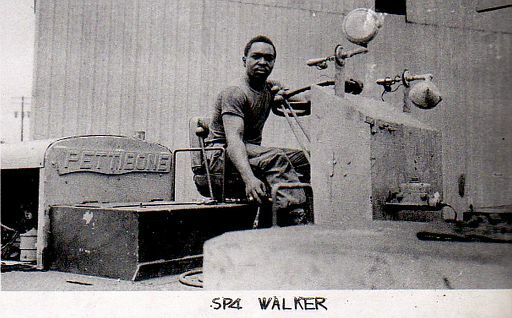 Since I was formerly trained (Aberdeen Proving Grounds, Maryland) in artillery repair of tracked as well as towed artillery, I supervised subordinates on many repairs in Pleiku. I also did a lot of traveling to remote FSB, CIDG Camps, an occasional hip shoot location, etc. to make repairs that could be done on site. During my tour I spent a fair amount of time in the field. Trying to remember all the destinations I visited 45 years later via convoy and helicopter would have been darn near impossible. Fortunately I kept my helmet cover which doubled as a notebook at the time. I actually found it and it had many of the places I had visited written down. Some names were too faded but I was able to read several of them. Unfortunately I did not record any dates but it’s doubtful I would have been able to read those anyway. Here’s what I could pull from the cover-Kontum, Firebase 6, Ben Het, LZ Blackhawk, Plei Mrong (may have been a hip shoot), Plei Djereng, Dak Pek, LZ Weight Davis, Duc Co, Plei Me, Duc Lap, Buprang, LZ Plantation (in Central Highlands not near Long Binh), Ban Me Thuot. After my leave upon return from Vietnam I was assigned to A Battery 1st Battalion, 7th Artillery, 1st Infantry Division, at Fort Riley, KS. I served as a SP5 in the battery motor pool. My unit was on the Reforger exercise in Germany so I had it pretty easy for the 1st month while I awaited their return. Once they returned, peace as I knew it disappeared. The Battery had to stand down from the exercise and that was no easy task. At the same time, the Battery was introduced to a new CO. From what I was told either the Battery or the Battalion did poorly on an earlier I.G. inspection and this CO was not going to let that happen again. My section NCO (Staff Sgt) and I had to make sure that the motor pool was “strack”! Turns out it was and I believe our Battery got the highest score. In August 1971, I was getting an early-out to return to college. The CO called me in for the “ETS” RE-UP talk. He was impressed with the high score the motor pool got on the I.G. inspection and my overall record while under his command and I guess looked like a good candidate career wise. His first offer was promotion to SP6 or Staff Sgt. I didn’t bite. Next came the offer to get me into OCS. I mulled that over for a bit but turned it down to return to college. 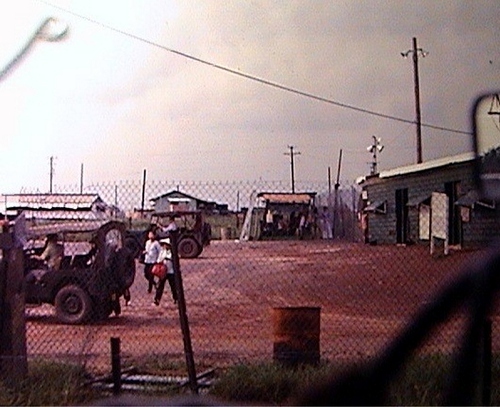 A collection of Vietnam Photos I took while assigned to HHC, 12th Combat Aviation Group, “Plantation Army Airfield” - “Blackjack Pad?” Vietnam, outside of Long Binh, from January 1971 until January 1972. HHC, 12th Combat Aviation Group was located just across the fence from "90th Replacement" at Long Binh, and pretty close to the Bien Hoa Air Base. Vietnam Photos scanned from an Album/Book made by my unit of assignment, 2nd Tour, in Vietnam, HHC, 12th Combat Aviation Group, from January 1971 until January 1972. “Blackjack Pad” and “LZ Plantation” was located just across the fence from 90th Replacement at Long Binh and pretty close to the Bien Hoa Air Base. This is a publication of the US Army, Vietnam that was given to every returning service man & woman. This is but a few of the website locations I visited and copied pictures. There are 100's more and many hours of looking! Hopefully the owners of these pictures don't mind me displaying their property. Someone mailed me a CD with these pictures, but I don't know who. If they belong to you please contact me and let me put your name to them! "Siege of Ben Het" - Special thanks goes to Ken Bailey for all the articles. Year after year Ben Het was in the center of the NVA's sights and 1968 and 1969 were no exceptions. One of the many 6/14 Warbonnets entrenched at Ben Het May through July 1969 was brother Ken Bailey. There were several batteries of artillery under LTC Kenneth R. Bailey, some quad-mount anti-aircraft guns in a ground defense role, M-48 tanks, and reinforcing companies of Civilian Indigenous Defense Group (CIDG) strikers from the camps at Dak Pek and Mang Buk. Command of all U.S. 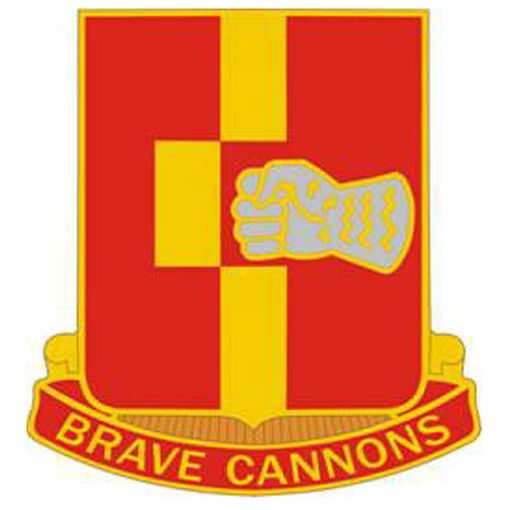 Artillery forces physically located at Ben Het was assigned to LTC Kenneth R. Bailey, who was the current commander of 6th Battalion 14th Artillery. Larry Burrows, LIFE Magazine article and pictures. 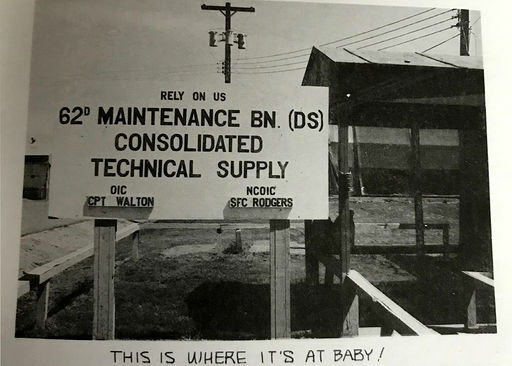 This happened Sep. 19, 1969, while members of the 299th Engineers, from DAK TO, were clearing the road of enemy Mines to open the road between DAK TO and BEN HET so we could get supplies to them. The helicopter that landed and dropped off the Commander of the 299th was also carrying a LT from our Unit, 1st Bn, 92nd Artillery, who went along to help, but he was shot as the enemy attempted to shot down the helicopter and had to return back to DAK TO. Some pictures from a man nicknamed "tellico" - not sure who that is. He said: "I flew slicks out of Holloway from 6/71 to 2/72 for A/227 AHB 1st Cav. I covered all of II Corps and got down the coast pretty frequently. Saw some beautiful scenery - too bad there was a war going on. I remembered this lighthouse although it was pretty beat up by the time I got in country and have posted a lot of pictures I took on Panoramio". Dillard Massengale, Combat Wounded Veteran. Mr. Dillard Massengale, Combat Wounded Veteran. 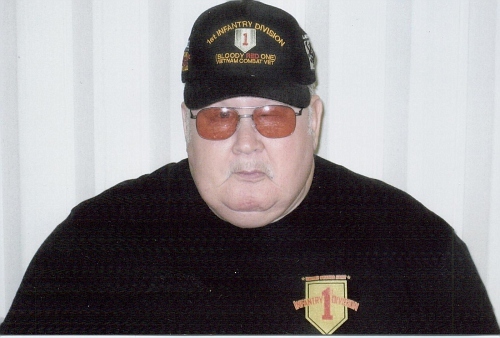 Served in the Vietnam War: 1967-1968, in Alpha Company, 1st Battalion, 28th Infantry, 1st Infantry Division - "BIG RED ONE"
Dillard Massengale, a Vietnam Veteran is one of 11 brothers and sisters in his family. 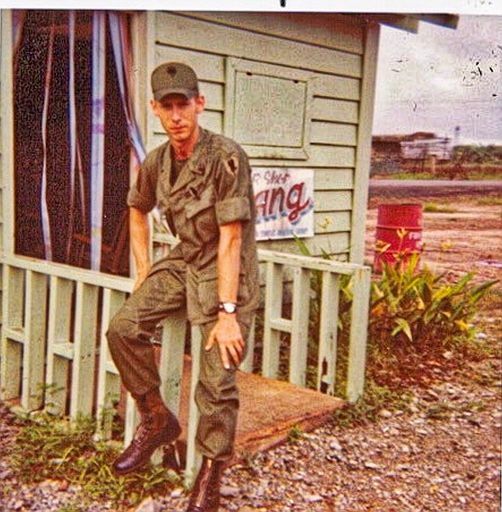 His father was a WWll Army Veteran, and one of his brothers, Donald Ray Massengale, was also a Vietnam Veteran serving with the 1st Battalion, 9th Infantry, of 1st Calvary Division, at Bear Cat, Vietnam. Dillard was born and raised in Smokey Junction and graduated from the Norma High School in 1966. After working a short time after graduation he received his Draft Notice for the U.S. Army on or about October 1966. Dillard started serving in the Army on February 1, 1967. 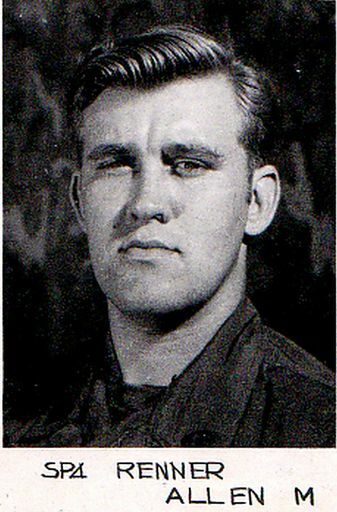 Dillard completed Basic Combat Training at Fort Benning Georgia, Advanced Individual Training (AIT) at Fort Polk Louisiana, and after a 17 day leave he was on his way to Vietnam, arriving on June 28, 1967. Dillard was assigned to Alpha Company, 1st Battalion, 28th Infantry, 1st Infantry Division - "BIG RED ONE" and was in Vietnam for about 9 months before being wounded in combat and returned to the U.S.A. 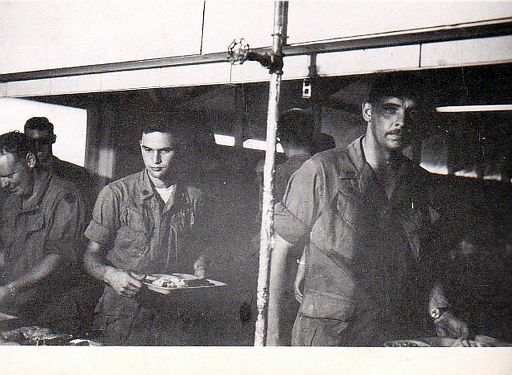 While in Vietnam, Dillard spent time at these Base Camps: Phuoc Vinh, Quan Loi, and Lai Khe. He also spent time at Black Virgin Mountain, and Fire Base Whiskey. Dillard fought in battles at places like An Loc, Lock Ninh, Dian, Ho Chi Minh Trail, Iron Triangle, and An My. Dillard was awarded a Bronze Star Medal with “V” Device, for heroism, for his actions at An My on February 1, 1968 at An My. 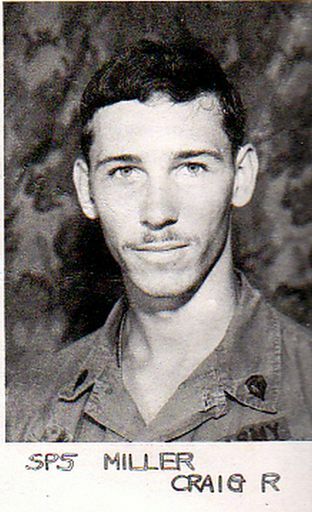 Dillard’s main job in Vietnam was MOS (Primary Occupational Specialty) 11B Light Weapons Infantryman, but he also was trained to operate the 81mm Mortar, and he also performed the duties as an FO (Forward Observer), and RTO (Radio Telephone Operator), during his tour. Along with his weapon, backpack, ammo, water etc. Dillard also carried a 23 pound AN/PRC-25 Radio. The AN/PRC-25 provided his Commander with a means to communicate with other Units back in the rear in case of an emergency, and with other elements while on patrol or recon. Sometimes, Dillard himself would use the Radio to direct Mortar fire during a Fire Mission from the Mortar Platoon that was within firing range of him and the rest of his men that was on patrol, and the radio, along with a good map, provided the tools needed to do his job as an RTO. From stories told by some of his buddies he met at their annual Unit Reunion, he was one of the best FO and RTO’s they had ever seen and they all wanted him along on their patrols because of his ability to accurately direct the Mortar Fire onto the enemy when needed. 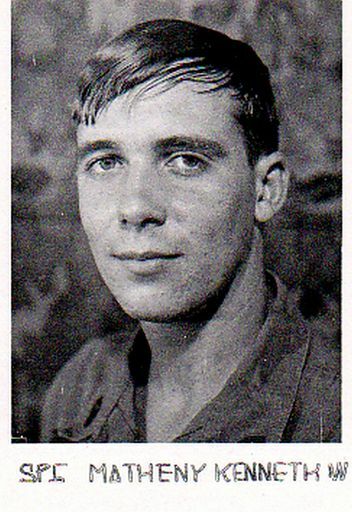 While on one such patrol, Dillard was severely wounded by small arms fire and shrapnel from an enemy grenade or Mortar rounds exploding nearby. 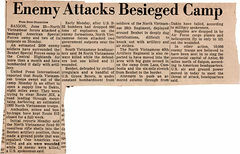 The Viet Cong and NVA soldiers had ambushed their patrol during an S&D (Search and Destroy) mission. After receiving basic field medical care from his Medic, of numerous wounds to his stomach and other parts of his body, he was medevacked by helicopter using a cable hoist to extract him from the thick jungle where a Landing Zone (LZ) was not possible. While under heavy enemy fire, and while he was being hoisted from the ground to the helicopter, he was able to expend the last of his ammunition by firing his M-16 Rifle to lay down much needed fire power onto the enemy below before finally running out of ammunition and dropping his weapon to the ground as he was pulled into the helicopter and flown back to the nearest medical facility. After receiving what medical care he could get to keep him alive, he was transferred to the 106th Military Hospital in Japan, where he received much needed surgeries to patch up the wounds in his body. After a few weeks of care and convalescent in Japan, Dillard was transferred back to Walter Reed Army Medical Center in Bethesda, Maryland for further treatment. 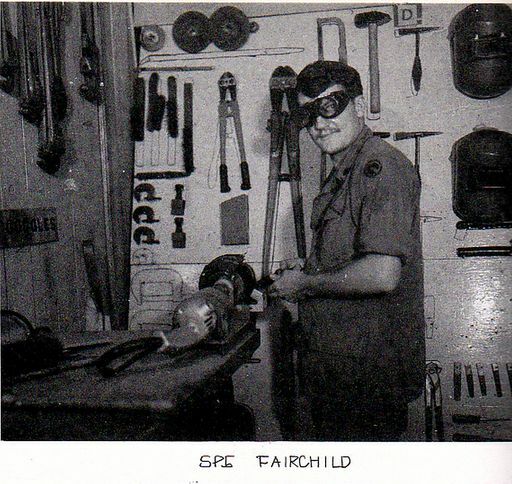 Later, he was transferred to Fort Benning Georgia where he received another surgery, called a Colostomy, and a Laparotomy, to repair parts of his intestines which had previously been removed in Japan. After the surgery he was placed on Administrative Leave so he could go home for a while. After his leave time was up and he returned to Fort Benning Georgia, he was transferred again, this time to Fort Hood Texas to finish out his term of service in the Army. After receiving his Honorable Discharge, on January 31, 1969, he was finally headed for home, back to good old Smokey Junction where he still calls home to this day. 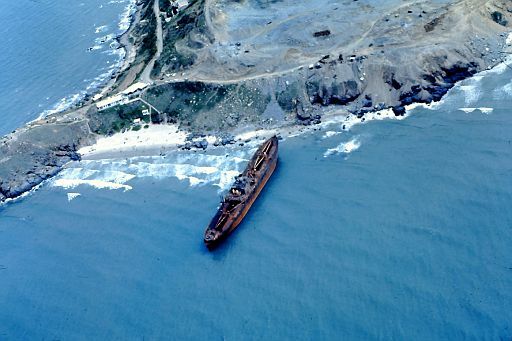 Location was in and around Quin Nhon, DaNang and the area around Black Marble Mountain in South Vietnam, 1968-1969. Location was in and around Quin Nhon, DaNang, and the area around Black Marble Mountain in South Vietnam. Don’t forget to drop him an email at SteveFinMD@gmail.com. I’m sure he would love to hear from you. 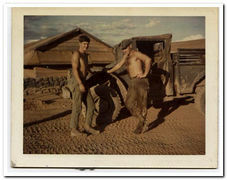 Enclosed are some pictures that were taken in the Dak To area in the 1967 & 1968 time frame. NOTE: Jim gave me permission to show these pictures and "we all" appreciate them. If you have pictures of the Dak To area and want to share them, let me know.